I’ve had a long-held theory that toddlers are like tiny drunk people. Erratic, wildly emotional, poorly coordinated and completely unreasonable. 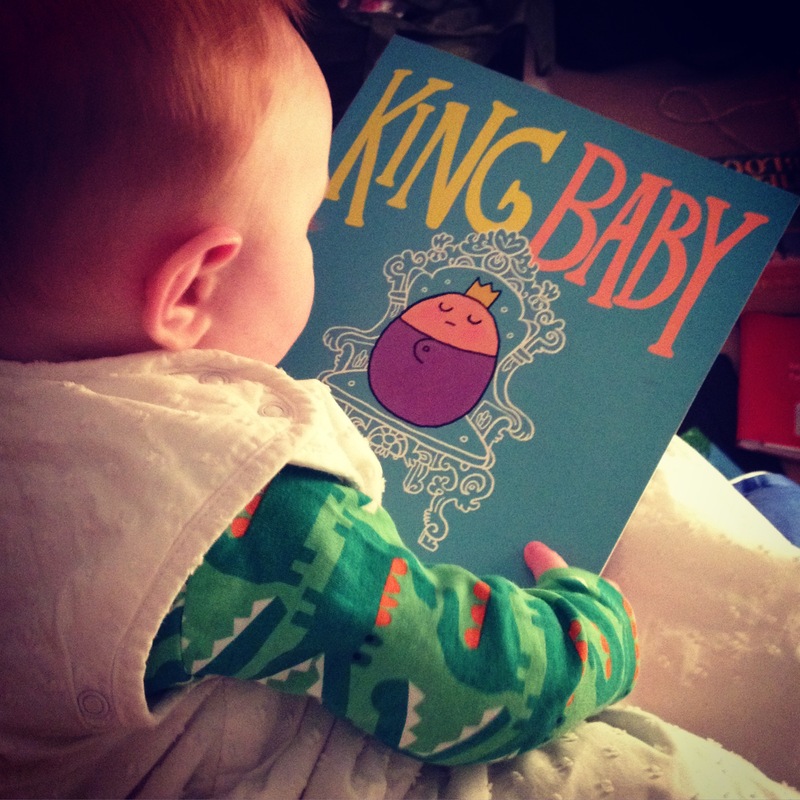 Ed Vere seems to have hit the nail on the head though. They are like grumpy frogs. But don’t you try and tell the main character of Ed’s hilarious and knowing book that he’s grumpy. He just likes green and hopping and winning – and hates anything that isn’t those three. 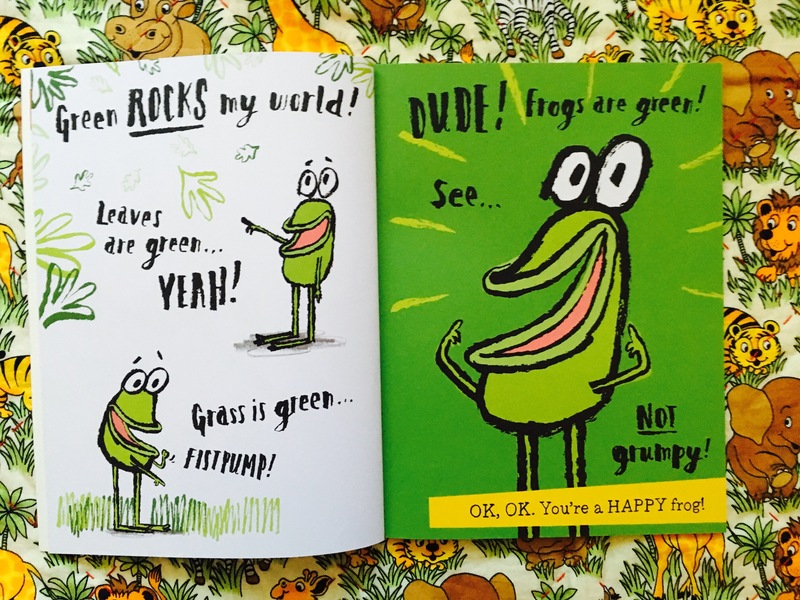 Inevitably, Grumpy Frog’s narrow world view means he alienates his friends and ends up all alone in a dark place… until he does some soul-searching and a bit of grovelling. I saw Ed speak about this book at a Penguin event and he explained that his complex main character was modelled on the target audience, with a little nod to Mr Reason-and-tolerance, Nigel Farage, too. 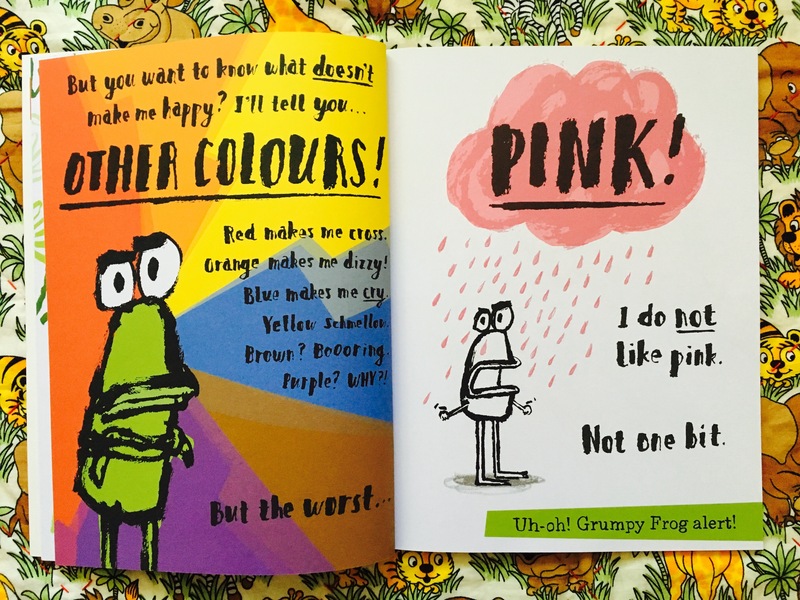 So while Grumpy Frog is irreverent and witty, the story has an underlying aim of tackling tantrums and promoting tolerance of others. 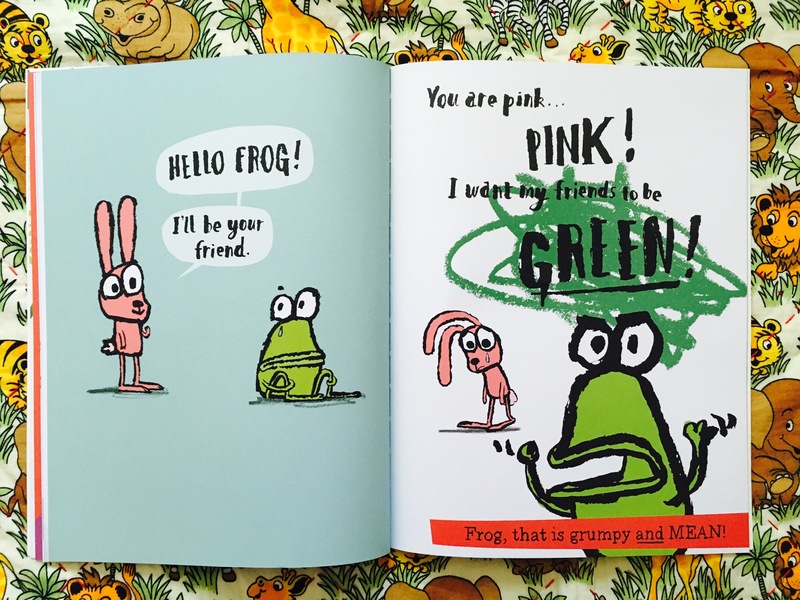 Aside from that noble cause, we just really like Ed’s style – from the doodling drawings to the chatty narrator and character dialogue throughout, which is huge fun for reading aloud. 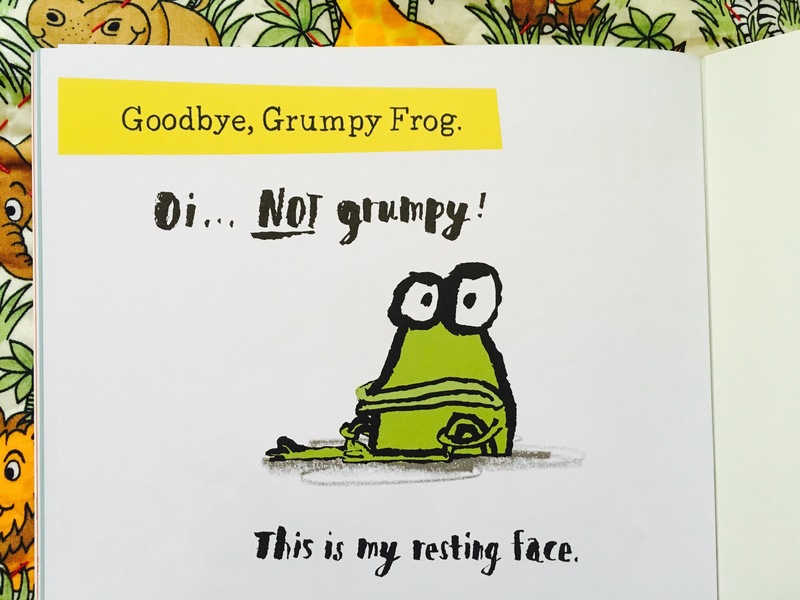 And just like the best way for an adult to deal with their embarrassing drunken antics the previous night is by laughing at themselves, tantrum-prone children will hopefully have an epiphany when they realise how ridiculous Grumpy Frog is acting. Could BB’s grumpy resting face be like that of his PGF perhaps?